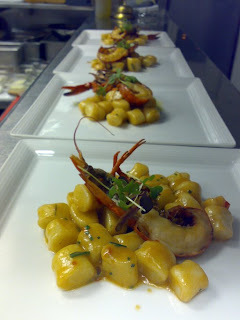 Pilu at Freshwater: Winter is Here! 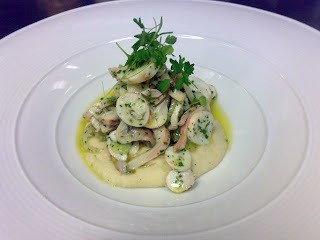 Octopus marinated in lemon, herbs and extra virgin olive oil, on a canellini bean puree. 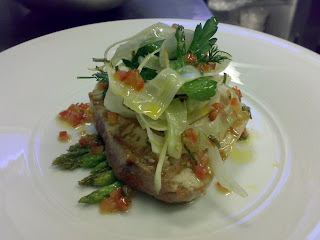 Grilled Yellow fin tuna fillet, on top of baby asparagus. Shaved fennel, parsley and diced tomato salad for garnish. 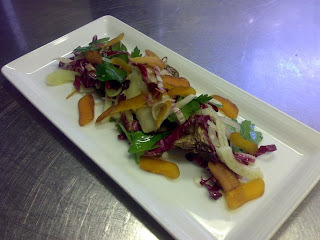 Bottarga and sardinian artichoke salad. 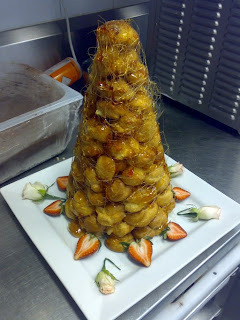 A croquembouche one of our pastry chefs made for a wedding. 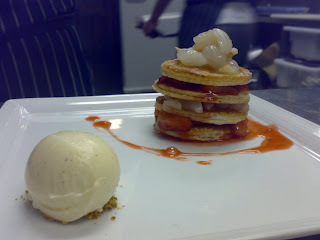 Lycee's and strawberry's in between puff pastry. 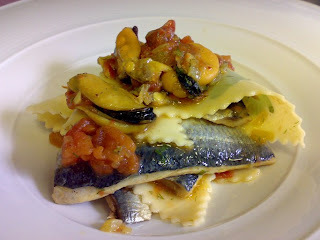 Sardine fillets and mussels, with stracci, tomato and fennel. 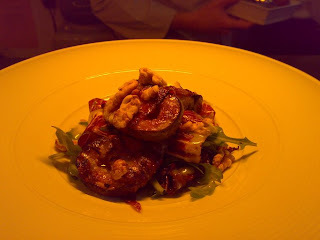 Crisy pancetta wrapped black figs, with charred ridicchio, and a gorgonzola-mascarpone and truffle honey dressing. 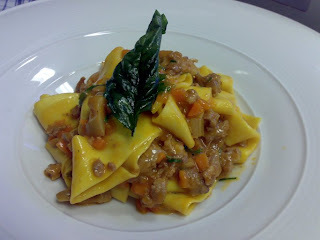 Roasted walnuts for garnish. 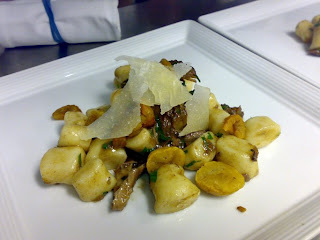 Potato gnocchi with slow cooked wild boar, butter roasted chestnuts and shaved pecorino. 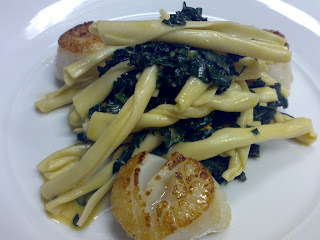 Casarecce pasta with seared scallops black cabbage and sea urchin. 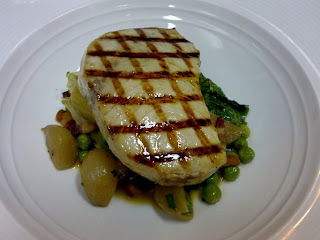 Charred swordfish, garnished with braised baby cos, peas, echallots and pancetta. 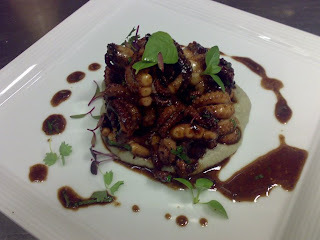 Bbq'd baby occy, on top of a borlotti bean puree with balsamic and chilli. 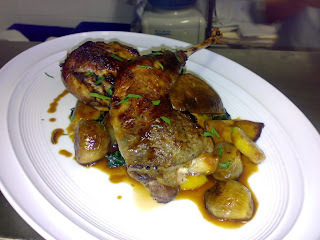 A nice pheasant dish, roasted on the bone with saffron potatoes and cavolo nero. 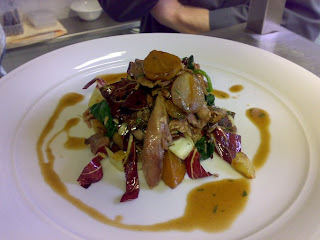 Shredded confit of duck leg salad. 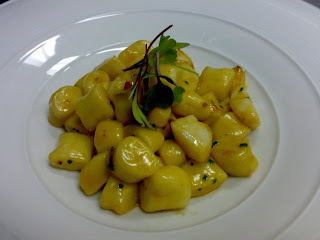 Roasted golden beets, echallots with treviso. Happy Mother's day and goodbye Shige and Adrian!